The teaching career of former remote school teacher David Whetton was bright until his four-year old son’s eyes were examined after presenting with a blocked tear duct. During that process, the ophthalmologist noticed pingueculae, an early indication of UV damage to the eye. 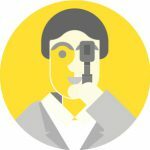 This prompted medical advice to ensure that he wore sunglasses when outside on top of regular check-ups to ensure the pingueculae didn't develop further into pterygium (a fleshy growth on the conjunctiva). After researching the importance of sunglasses for children, Mr Whetton became a man on a mission. He gave up his teaching job and started School Shades, a company which supplies shatterproof polycarbonate sunglasses in school colours to school and preschools. In 20 months, 170 schools have signed up for sunglasses -- many from remote and rural areas. But Mr Whetton won’t be satisfied until every Australian child wears sunglasses to school.“The Federal Health Minister and Education Minster knows my mission and are supportive," he said. "But it’s going to take social proof that it works. Most schools do not opt for compulsory wearing of sunglasses. 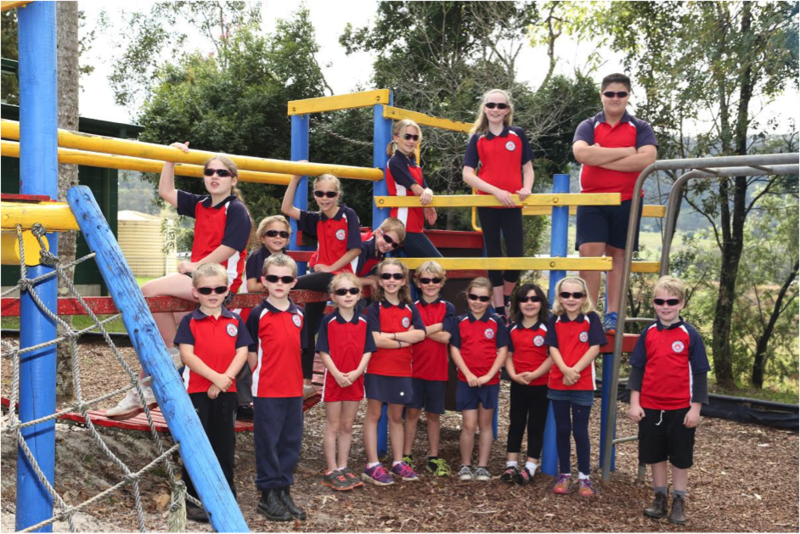 However, a handful of schools, including Ivanhoe Central (Central NSW) and Hargreaves school (near Mudgee in NSW) and Tibouburra Outback School (story below) have made sunglasses during play time mandatory. SUN SMART: All 16 students at Afterlee Public School in Northern NSW wear sunglasses to school. As students prepare to return to school amid record-breaking temperatures, Australian optometrists have been encouraged by the growing number of schools which have made sunglasses part of the uniform list. With temperatures peaking last week at 45 degrees in the north-west NSW town of Tibooburra, spare a thought for the ten students at Tibooburra Outback Public School. Not only does the town claim the uncomfortable title as the hottest in Australia, its little school is Australia’s most remote. Fortunately for the long-term health outcomes of its students, Tibooburra Public has made the sun-smart choice to join 10 per cent of Australian schools in offering sunglasses as part of its school uniform. In 2017 there are at least 170 Australian schools which offer sunglasses as part of their uniform. 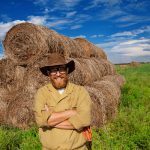 Optometry Australia’s resident optometrist, Luke Arundel, said he was encouraged by the recent uptake of sunglasses in schools and would like to see every school child in Australia wearing them. "It’s never too early to start the good habits that will help these kids maintain good vision for life, and we strongly support the cancer council’s expanded slip, slop, slap, seek and SLIDE (on some sunnies) message. UV radiation from the sun can cause significant damage to a child’s eyes and lead to serious eye conditions later in life. Accumulated UV exposure to your eyes can lead to cataracts, macular degeneration (a leading cause of blindness), pterygium (a fleshy growth on the eye), solar keratopathy, and skin cancer of the eyelids and around the eyes," he said. 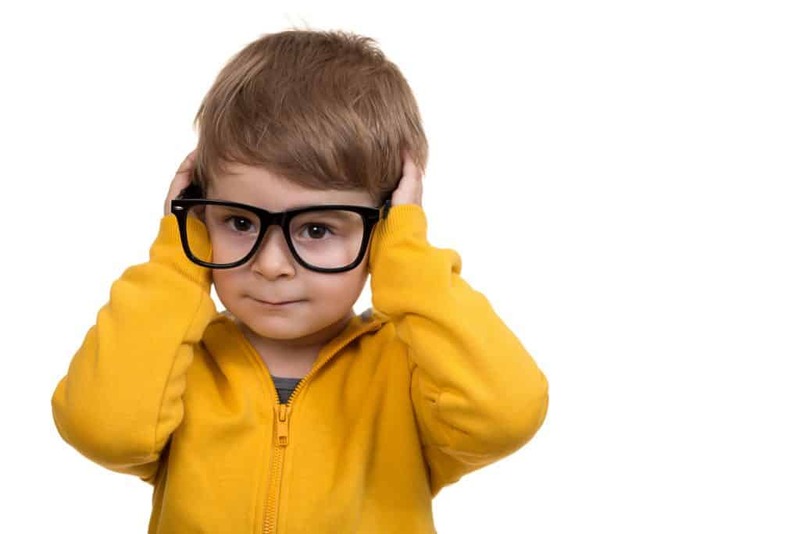 As well as picking up UV-related damage, an eye examination with an optometrist can detect a variety of vision problems that may potentially affect your child’s learning. 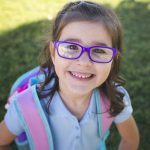 With about one in five Australian children suffering from an undetected vision problem, Optometry Australia recommends all children have a full eye examination with an optometrist before starting school and regularly (every two to three years) as they progress through primary and secondary school.